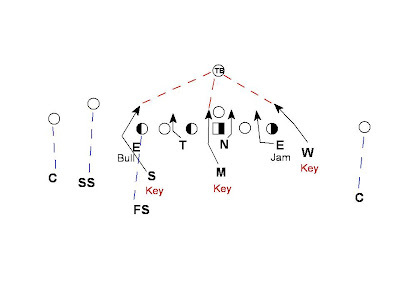 The 10th installment of Blitz of Week comes from Coach Saban's 2001 LSU playbook. 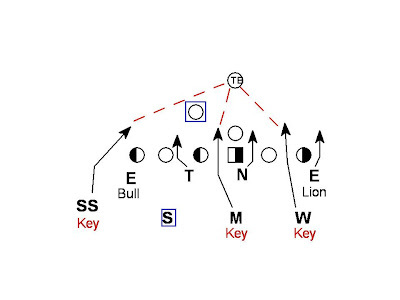 Over Python (page 156) is a 7 or 8 man pressure adjusted based on the backfield set. 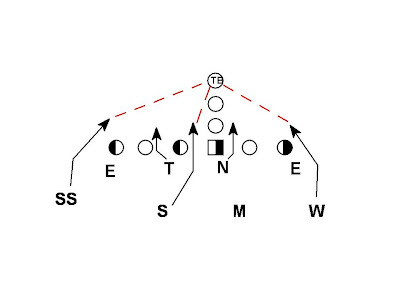 The front is set with the 3 technique and Sam to the TE. 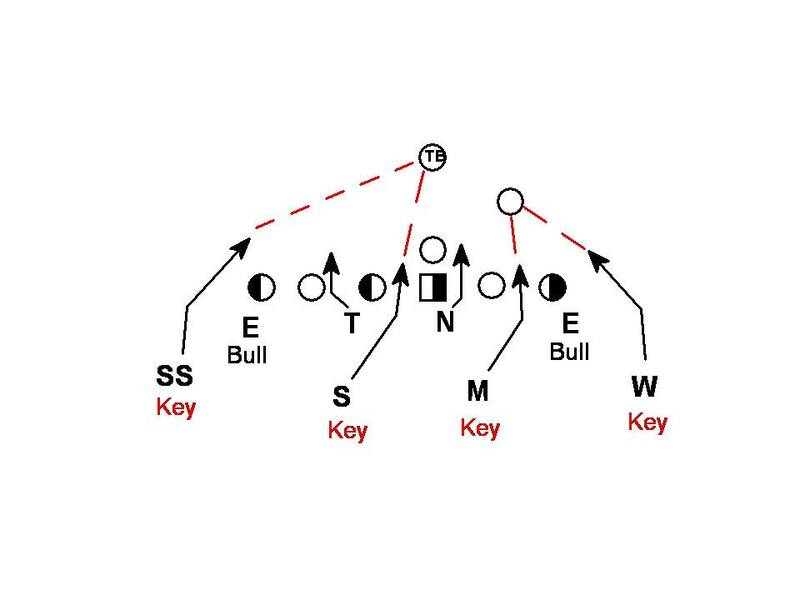 *Bull (page 133) - "(2 Gap) Power the Tackle Alert for Screen"
** Key (page 135) - "Peel on Back"
This blitz overloads the offense. The three blitzers share man responsibilities on the TB. The TB is accounted for if releases strong (SS), middle (Sam), or weak (Will). 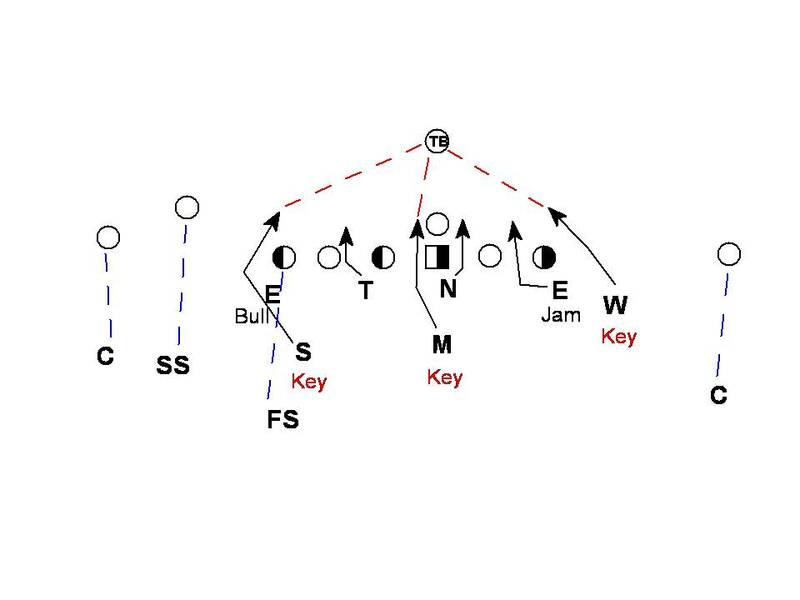 Over Python adjusts if the backfield is not the I. 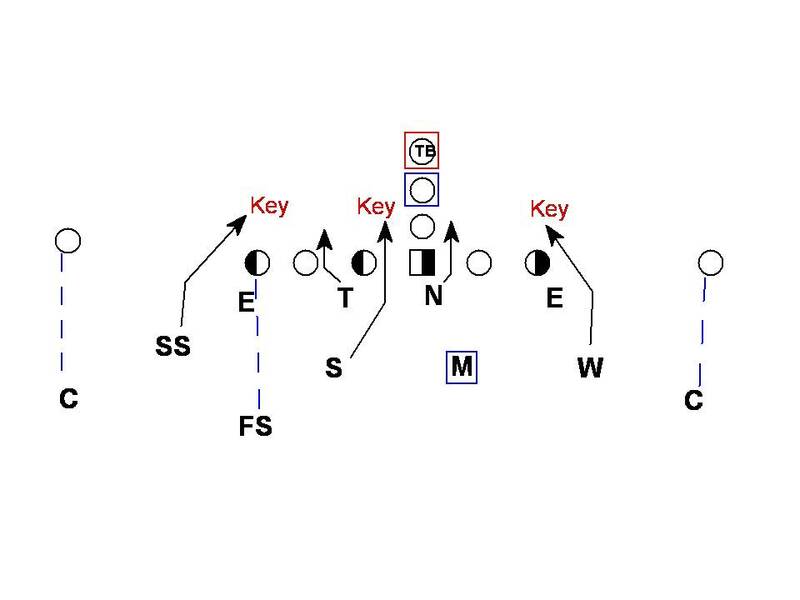 Vs. Near I the check is "Plus"
The Plus check tells the SS, Mike, and Will to handle the key blitzes. The Sam has the offset FB. The away End is no longer Bull technique he is now Lion technique. Lion (page 139) = "Alert for flare back". Vs. I Far and Split backs the check is Reno. The Reno check gives both Ends the Bull technique. 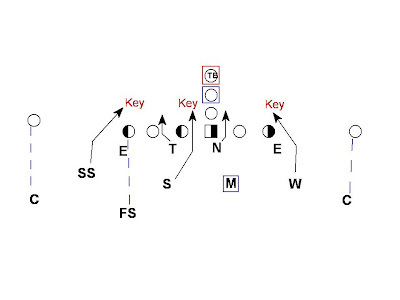 The Mike and Will key blitz the offset (near) back while the SS and Sam key blitz the TB. The same principle is applied to split backs. In the Cop check the Away End is a Jam technique. Jam (page 131) = Inside move to the B gap. The Sam and Will are outside while the Mike blitzes the call side A gap. All three are key blitzing the single back. The safeties adjust to the extra receiver. 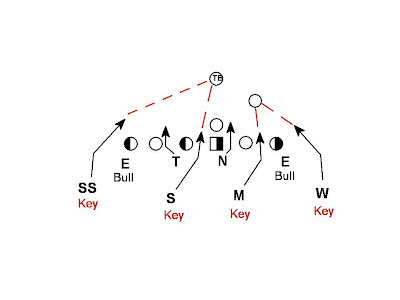 The key blitz concept can be incorporated to any style of defense. 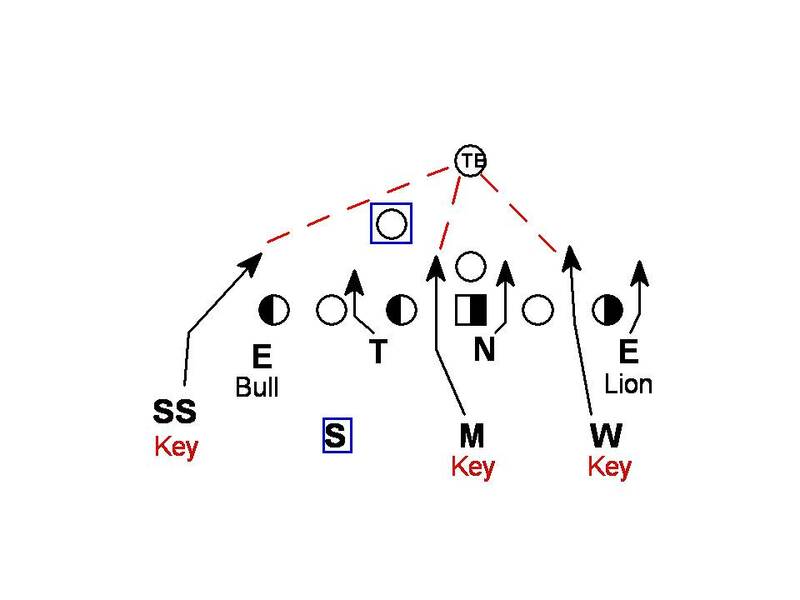 The key concept allows for max pressure as well as being able to handle routes/screens by the RB. 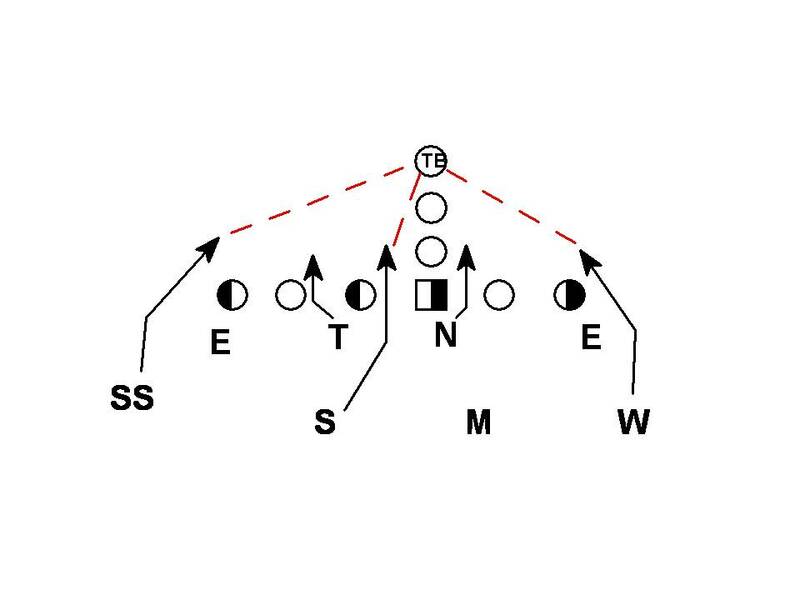 Also the Bull technique Ends can make getting the OT out to block for receiver screens more difficult.